This is a quality BOPS (Broken Orange Pekoe Special) tea grown in the Santosa estate from Java Indonesia. The tea liquor is pale with malty flavor and a hint of flowery character. While many Indonesian teas are still sold for blending purpose, teas from Santosa are also prized unique self drinkers. This tea is only produced in August, Java's peak growing season. This is my husbands favorite tea. I always have to keep him stocked with it. Definitely distinct flavor as compared to Assam, Ceylon and Keemun black teas. Mild astringency with less biting tea tannin compared to Assam but still full bodied and malty with a complex aroma. This is my husbands favorite tea. I have had him try so many black teas from EnjoyingTea and this is the one I have to keep on hand for him. Unique, fragrant, smooth, mellow, beautifully balanced. An anytime tea that always hits the spot. Got this on a whim for my husband. He has fallen in love! This black tea packs a nice punch without being too stringent or smokey in flavor. I nice change of pace and unique cooper brew. Will keep this Santosa Java in my rotation of better black teas for sure! The description of this Santosa Java black tea read like my impossible dream come true. It was. This tea brews a liquor with unusually fragrant aroma and a distinctively rich and satisfying taste. I've blended it with stronger Assam black teas to give them more character. Try this one. I tried this tea for the first time on my last order. It has one of the most inviting aromas that I have found in black teas, and the brewed product is almost heady with fragrance and flavor. It mixes well with breakfast teas to put a velvet glove on their morning punch. I'll reorder often. 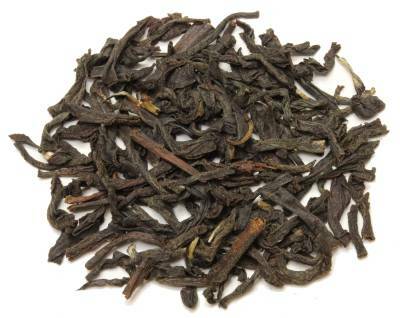 A really great tasting tea that brews a little darker, but with a malty and flowery character. This is an interesting tea that I found to be quite enjoyable. 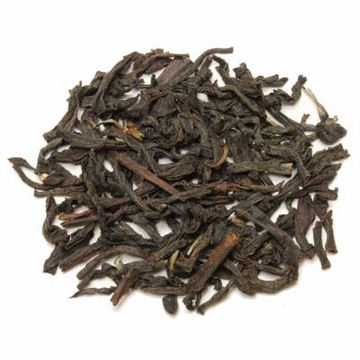 It has the bold malty flavor of an Assam, but with much more subtle complexity. This is a strong, intense tea & love the flavor!